Like an outdoor daybed with versatility? Lucille ticks that box as the base for our Jackie mattresses. 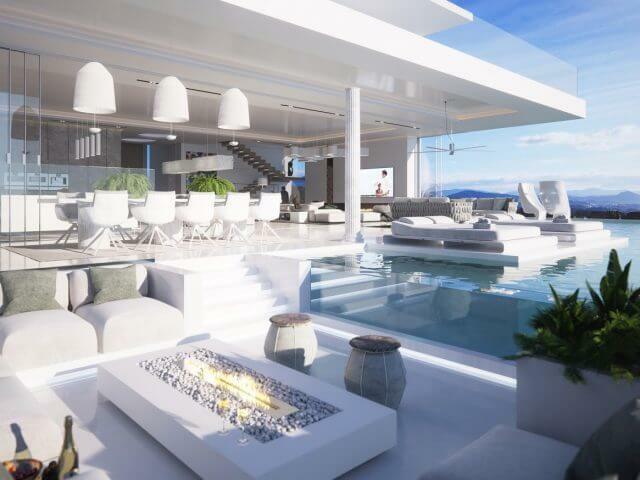 Enjoy your pool, garden or patio while relaxing on your daybed! The Lucille base provides the ultimate support for your Jackie lounger. Do you have a pool and want to relax on and out of the water? Meet ‘Lucille’, a fantastic accessory for Mr Blue Sky’s ground breaking Jackie sun lounger, offering a supportive outdoor daybed which means Jackie has the ideal platform when being used ashore. Providing comfort and stability thanks to its intelligent design, with smooth lines and a beautiful simplicity, Lucille ensures that you have the perfect excuse for lazy sunny days. A different color for your taste? You can opt for our black Lucille outdoor daybed base. Remember: you need one Lucille per person, even when you buy a twin lounger. Lucille provides the base for the ultimate outdoor daybed experience. It means you don’t need a water side spot to enjoy the height of comfort in your garden at any time. Lucille and Jackie make the most harmonious match. Our combinations of upholstered mattresses and aluminium bases withstand all weather conditions and combine perfectly with all manner of outdoor spaces, whether placed on decking, grass, or a patio area. 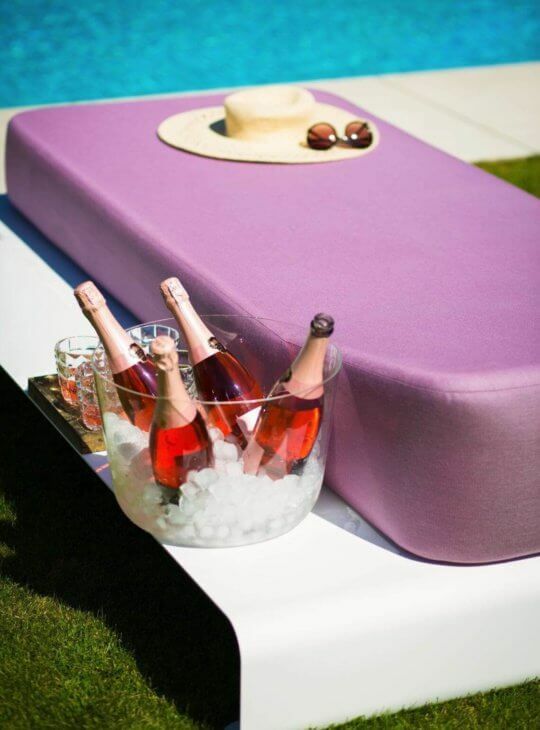 Upgrade to a luxury outdoor daybed! Lucille is an optional upgrade which gives Jackie the ideal base for when she is ashore. You can use our mattresses on land as well as on water. But for ultimate comfort and luxury Lucille is an appropriate recommendation. Do you want the most durable and versatile outdoor daybed? Just pick the combination of a single or twin mattress and an aluminium base that suits you best! For those who believe there is nothing better than traversing the waters with the luxurious comfort of a yacht, Lucille makes for an essential crew member and turns Jackie into a complete outdoor daybed. She is the right shape and size to be placed aboard ready for Jackie’s return. And don’t forget about ‘Elsie’ and ‘Emma’, the two specially designed outdoor cushions which are perfect companions for Lucille and Jackie.